The double edge cutting blades use a dual reciprocating action so that both the top and bottom blade move and cut at the same time. This provides a faster and cleaner cut in either direction while reducing vibration and operator fatigue. Weight - Approximately 9 Lbs. Note: use only extension cords intended for outdoor use. 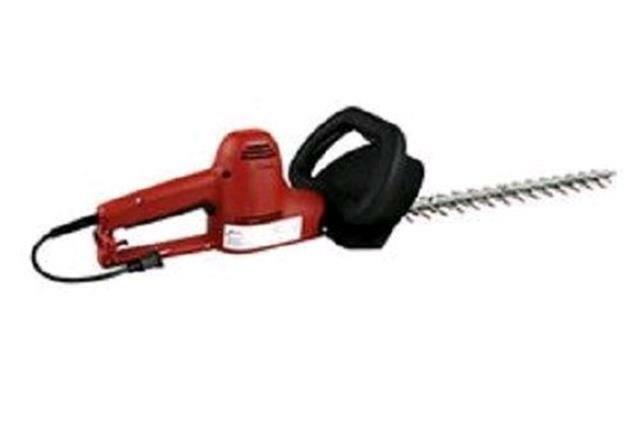 * Please call us with any questions you may have about our trimmer hedge 19 inch elect rentals in Petoskey, Northern Michigan & The Upper Peninsula.